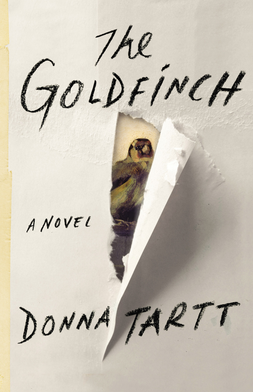 I checked my Goodreads and was confused as to why I had only finished one book since finishing Bring Up the Bodies and my last Quick Lit post; however, my confusion was short-lived because I remembered I am still only 63% through the doorstop (even on my Kindle it seems heavy) that is The Goldfinch by Donna Tartt. It’s not all bad. I loved the first third of the book. The details of New York City in the rain, Theo and his mother’s discussion of the intricacies of the Dutch paintings in the museum, and simply getting a glimpse into adolescent Theo’s head contributed to a magical quality in the writing that made the tragedy of Theo’s mother’s death poignant instead of just devastatingly sad. 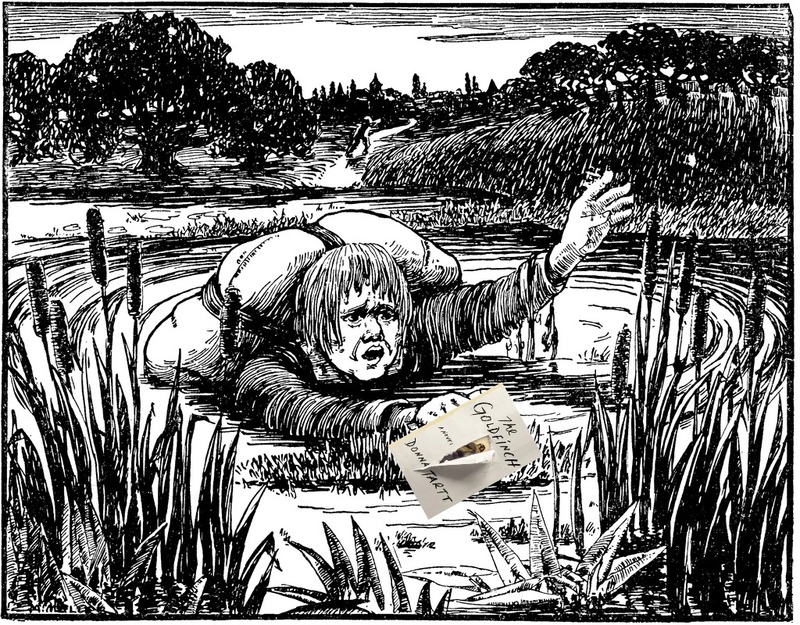 And then it felt like all that goodwill and magical prose went out the window with Theo’s move to Las Vegas and his friendship with the abused and dissolute Boris. Drugs, drugs, and then some abandonment and gambling debts to top it off. I kept reading thinking maybe, just maybe, the magical quality would return but I finished the Las Vegas part simply disturbed. Reading it this way, I can understand its Pulitzer Prize and ubiquity a year or so ago. But really, I did just find it upsetting. I press on (after a few days off spending every non-baby-watching moment getting caught up on Mad Men) and it’s getting better in th e third part. The titular painting has made a reappearance and the intrigue is enough to get me to finish it. If you’ve read it, I’m curious what you thought. 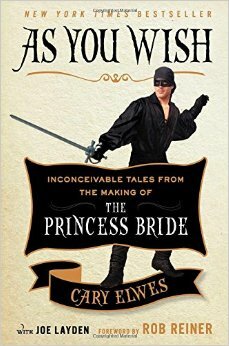 As I mentioned, my interim “recovery” book between the bohemoths of Bring Up the Bodies and The Goldfinch was As You Wish, Cary Elwes’ memoir about the making of The Princess Bride. I adore the movie and the book was sweet and worth reading for some tidbits that add to the viewing. I appreciate that Elwes isn’t angsty about being known primarily for playing Westley and while, yes, I’m sure he got a chunk of money for writing the book, he (or his ghost-writer) write fondly of his time filming and of his fellow actors. This one would be a good beach read this summer. I checked out The Well-Trained Mind and Climbing Parnassus: A New Apologia for Greek and Latin from the Yale library since I’m on the upswing of another education kick. I can’t decide if it’s proactive or humorous that I read about this stuff when our only child (so far) is only thirteen months old. I am a teacher, too, so let’s just say I’m boning up on classical education for the sake of my grammar students. The Well-Trained Mind did put me on to a book for activities for little people called Slow and Steady Get Me Ready that the Department of Education uploaded in full and is easily found with a quick Google search. It has activities for each week of a child’s life from birth to age four. Christopher was, um, not particularly interested in this week’s “roll a ball to me” game, but I’m hopeful this reticence will not destine him for a life of illiteracy. 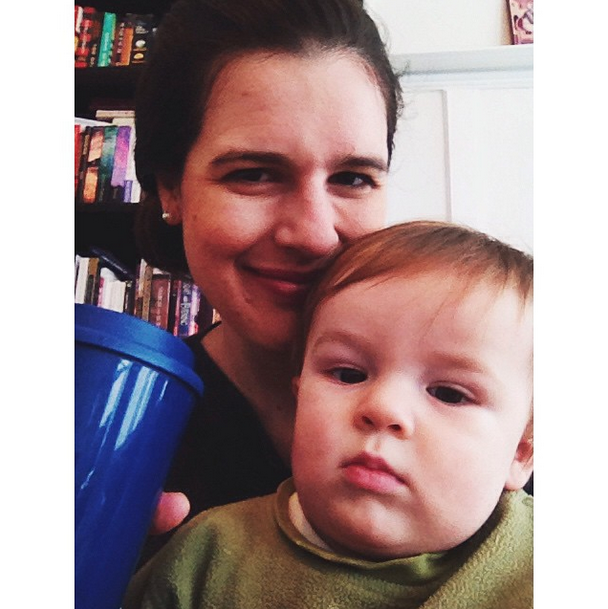 Linking up with Modern Mrs. Darcy who is releasing her Summer Reading Guide soon. I see Wolf Hall in there. Very interesting review of the Goldfinch — I’ve been hesitating on reading that one because I know it requires major time commitment! Your point about “magic” made me think of Anthony Doerr’s All the Light We Cannot See, which manages to maintain the magical quality throughout even in some pretty brutal subject matter. Have you read it? I started All the Light We Cannot See but I got into another book at the time and had to return it to the library. It’s definitely on my list to finish though and I got that magical vibe from the first few chapters. I really enjoyed your look at the Goldfinch, too. I haven’t read it myself, but a lengthy discussion with a friend brought up similar points (hopeless feeling, all the drugs, etc.). I loved A Well-Trained Mind, too! I think I started reading it when our son was about the same age as yours. 🙂 Good to be prepared, right? I finally finished The Goldfinch and stand by my review. That hopeless feeling stuck to the end. And I’m telling myself it’s better to be overprepared than to just wing it when the time comes for Kindergarten. And it’s fun so who cares, right? Haha!! Love your graphic! I only made it about a fourth of the way through The Goldfinch and I gave up. Hee, thanks, I was inordinately proud of that one.